Welcome To The New Introvert Spring INFJ Forum! We could not be more excited to share what we've created for you here. 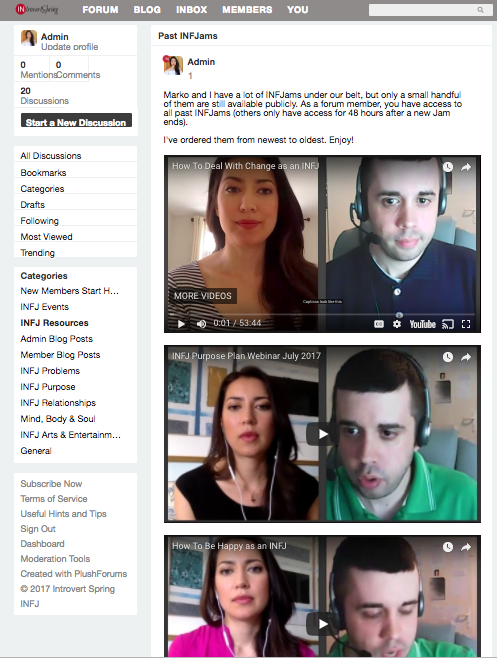 This is the place for INFJs to connect, and be inspired in a space that is safe, interactive, 100% private, and just plain awesome. Easy navigation - discussions are organized into categories, and everything is just a click away! Member generated blog posts - create your own articles to share with other members! Really, there's so much more I want to share with you, but I figure it's best to just take a look around, and you be the judge. 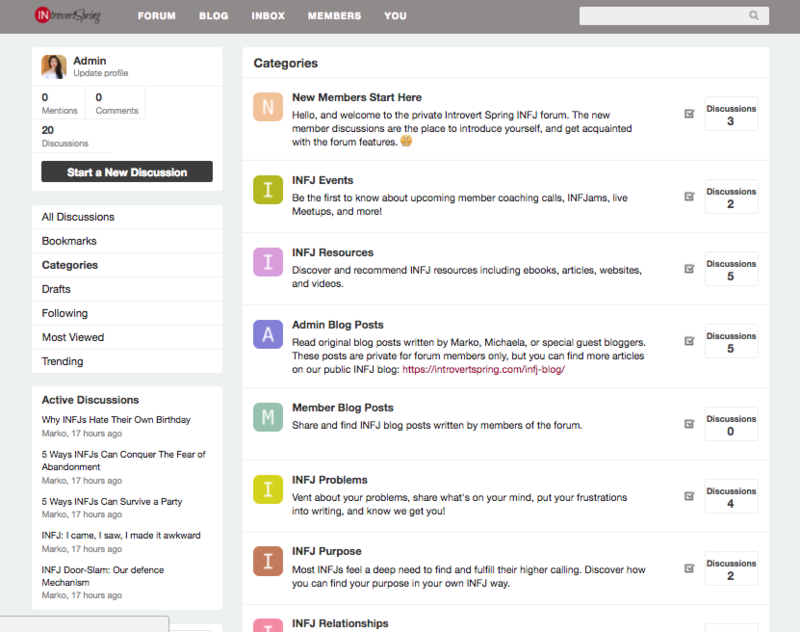 Here's how to get a FREE trial of the forum, and test out all its features for 30 days. 1) Click on the "Create a New Account" button and fill out the information. 2) Confirm your email address. Access all past INFJams (no longer available publicly) in one convenient place. Easily find relevant discussions, which are organized into categories. 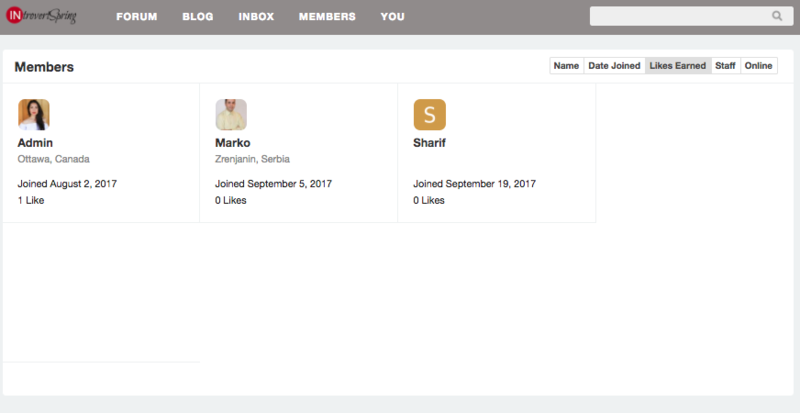 Create your own unique member profile, and share who you are with other members. Find and message other members on the member directory page.